Hope everyone had a warm and wonderful Thanksgiving surrounded by friends and family! The holiday season is officially in full swing and so is East Point Breeze Neighbors! We've got lots coming up including a holiday gift drive, an election that will determine leadership in our group, and more! Keep scrolling to find out about how to get involved, neighborhood happenings, and what we're up to! 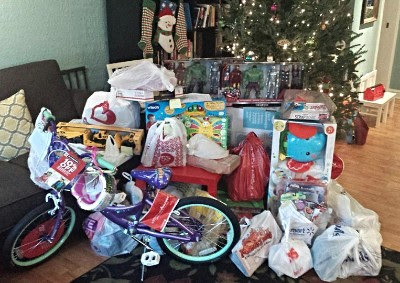 We're once again partnering with Bethanna to help find sponsors to provide gifts for 30 children living in foster care. Bethanna provides adoption, child welfare services, and behavioral health care in Philadelphia. Want to become a sponsor? Just send an email to CharlieElison@newboldneighbors.org and let us know! For every child you sponsor, you will receive a form with the child's age, gender, and gift ideas. Happy holidays, and thanks for helping us make the holidays a little brighter for these children! Elections for the board of East Point Breeze Neighbors are coming up in February, and now is a great time to start thinking about volunteering! In addition to elections in February, we will also be filling the Treasurer position temporarily. We are looking for someone with experience in simple non-profit accounting and attends EPBN events. Clean & Green: focused on providing the residents of the neighborhood with connections to city resources to help make your blocks cleaner and greener by planning block cleanups and planting trees. Outreach: updates content on the website, organizes business outreach, and collects block captain information. The committee also coordinates with other civic associations, community groups, and institutions. Zoning: facilitates monthly public zoning meetings in which applicants seeking zoning variances are able to present their plans, gather valuable public feedback, and gauge community support for their project before going in front of the city. Public Safety: helps serve as a liaison between the neighbors in the EPBN service area, the police, other neighborhood groups and city agencies with a focus on safety and quality of life. Please send your resume to miguelgarces@newboldneighbors.org if you are interested in the temporary Treasurer or chairperson positions. Together with WPNA and Newbold CDC, Clean & Green volunteers helped to plant 16 new trees in the neighborhood. Thanks to all who applied for a tree and to all of our wonderful volunteers! 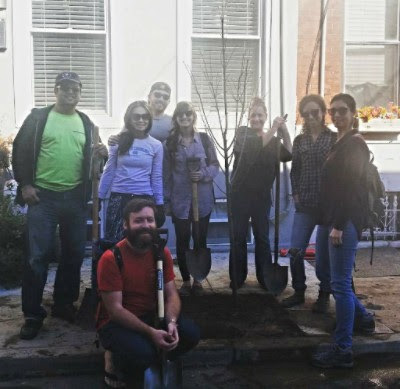 Interested in applying for a street tree of your own? Email the committee co-chairs at clean@newboldneighbors.org. Our next meeting will be Thursday, December 8th at 6:30 PM. Reach out for the meeting location if you need it or to join our mailing list!